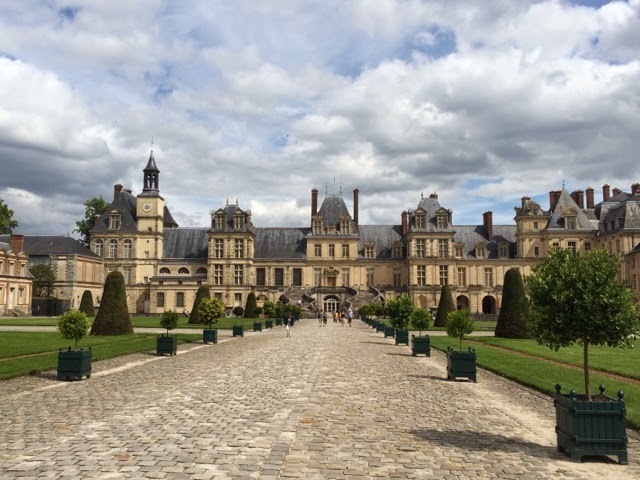 Two months ago I got on a one-way flight from Chicago and traveled around Europe a bit (read posts on Slovakia, Vienna, and Nice) before starting business school at INSEAD in the lovely Fontainebleau, France (pictured above). I have to admit that the last month has been pretty intense, not just with classes but also with meeting people, traveling, and starting the career search. I haven't had much time to update you all so here's a recap! 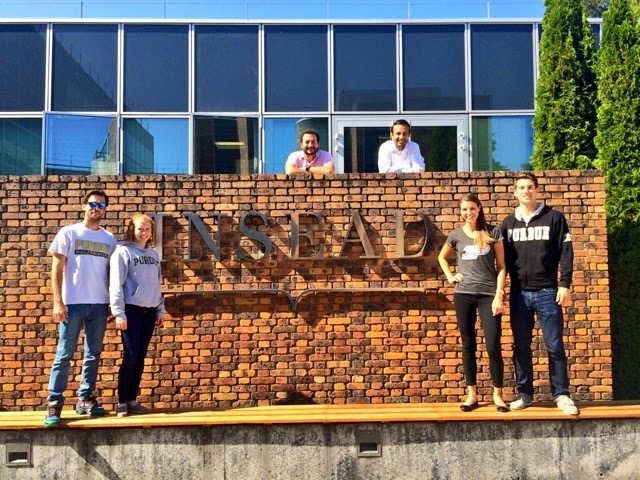 There are currently seven (six on the Fontainebleau campus) Purdue alums at INSEAD! We got together for the picture above to show our Boilermaker pride. It's nice to have a piece of home in this very diverse community. There is no dominant nationality but it seems like we all have the same mentality and because of that, I've already found so many close friends. We've all had many different experiences around the world and it's easy to find things in common with other people, be it dual-citizenship or the desire to become an entrepreneur. 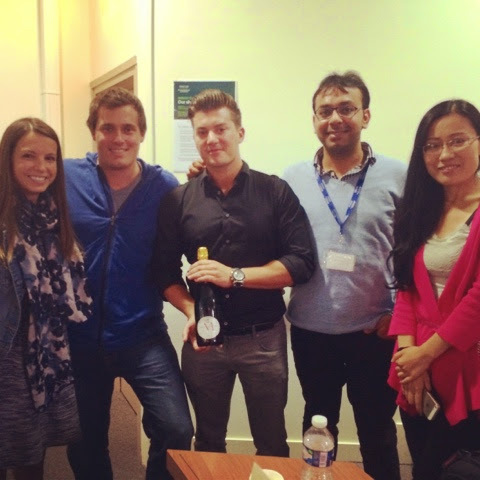 Read my post on the INSEAD MBA Experience blog about this! Besides the traveling, partying, and meeting amazing people, there's also the whole education thing. Because INSEAD is a 10-month program (compared to 2-year business schools in the U.S.), the course load has been quite intense and it is difficult to prioritize. The good thing is that I think that Purdue engineering prepared me pretty well for intense classes and grading on a curve. The most difficult part here for me is that I don't have a business or finance background, whereas many of my classmates do. So the classes are review for them while it's the first time I've seen the material in class or at work. We are grouped into teams for the first four months of classes and my team (below) is pretty awesome. We are all different in culture and work experience which makes us have a great mix of ideas. I've already learned so much from working with them and trying to function as a team. Although much of the class material is still based on U.S. companies and business practices, I've learned much more from the experiences of my international classmates, which I wouldn't get as much from a U.S. business school. 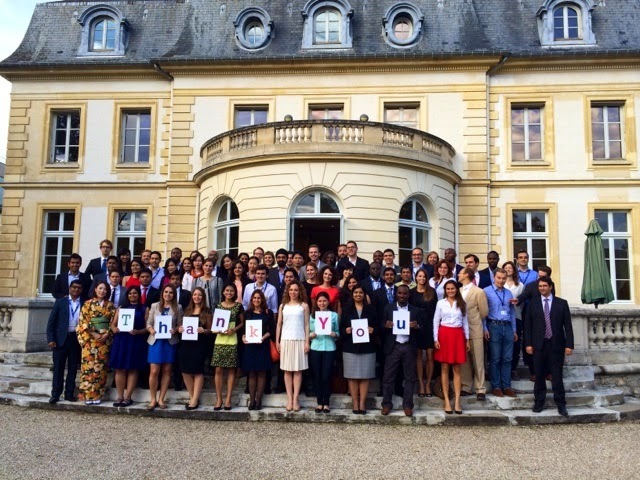 The first month at INSEAD has been awesome, here's to nine more!